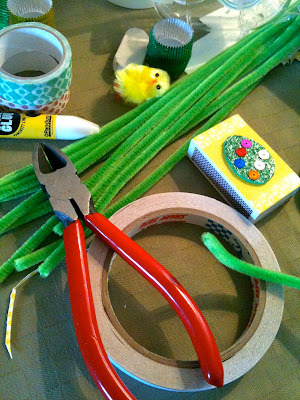 Yesterday we had an Easter crafternoon (don't you just love that word?) here. I had invited a few friends and their children over, and we went crazy with Easter crafting. Some of the kids preferred to play upstairs, but that only brought enhanced possibilities for the moms (and one dad...) to work more focused. A win-win situation, clearly. We had a great time! Martha Stewart was one source of inspiration. I think the daffodil candy cups turned out pretty cute. When all creativity had left me in the end, all I came up with was the paper chicken (no, it is not made by one of the kids)... It did a good job decorating the egg platter later at dinner though. And yes, you do need matchboxes at Easter too. Remember the Christmas ones? We're getting ready for Easter! Summary in Swedish: Igår påskpysslade vi här, vänner med barn kom och gick loss på papper, glitter och paljetter. 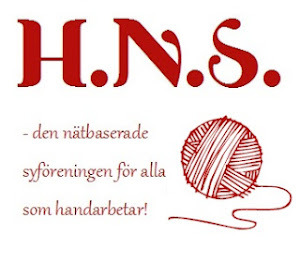 Det var kul och blev bra, och nu börjar vi bli redo för påsk!